Nordic Business Forum will organize #NBForum2018 themed Twitter chat on Wednesday, September 19th at 20.00 Finnish time. We welcome you to join our #NBForum2018 themed Twitter chat next Wednesday on September 19th at 20.00 EEST Finnish time. The chat will last for one hour and follows the Nordic Business Forum 2018 themes: Strategy, Peak Performance, and AI. We will also discuss what kind of possibilities and challenges today’s business leaders face. The chat will be hosted by Nordic Business Forum (@NBForumHQ) and co-hosted by Alf Rehn (@alfrehn) and Katja Presnal (@katjapresnal). 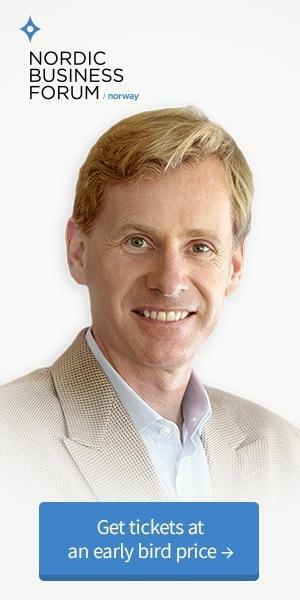 You will also get to talk with some familiar NBForum faces like our CEO Aslak de Silva (@aslakds), Head of Marketing & Communications Anniina Turunen (@anniinatur), ‏and our NBForum 2018 speakers Don Tapscott (@dtapscott) and James Hewitt (@jamesphewitt). 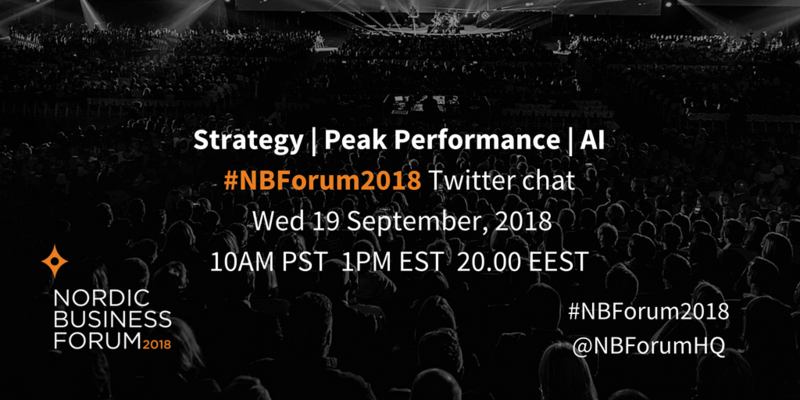 How: Log into Twitter, follow @NBForumHQ and use the hashtag #NBForum2018 to participate in the conversation.